The winner of the inaugural Matthew Power Literary Reporting Award is Susana Ferreira. Ferreira is a writer and radio journalist who has reported throughout North America, Europe, and Africa. 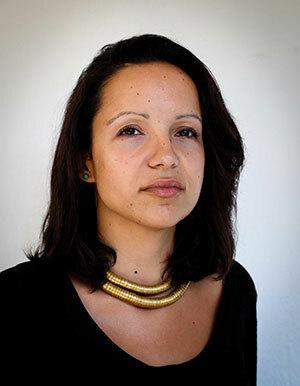 She was based in Port-au-Prince, Haiti, for four years where she was a correspondent for Reuters and freelanced for TIME, CBC Radio, PRI’s “The World,” The Wall Street Journal, France 24, and The Guardian. She was raised in West End Toronto, earned her BA in English Literature, French Literature, and Hispanic Studies from Mount Allison University (New Brunswick, Canada) in 2004, has Masters degrees from the Columbia University Graduate School of Journalism and Sciences Po, and speaks five languages. She will use money from the Power Award to research and write a long-form article about drug policy and addiction. The $12,500 annual award was established last year to commemorate Matthew Power, a wide-roving and award-winning journalist who reported empathetically on the human condition. Matt died in March 2014, while on assignment in Uganda. An endowment campaign to raise $250,000 to make the award possible in perpetuity was launched last year and has raised $200,000 to date with generous support from his friends, family, and journalism colleagues. Please consider donating via Crowdrise. Over 100 applications were received for this year’s award. The judges were Bill Wasik, Jessica Benko, Roger Hodge, Robert Boynton, and Ted Conover. NYU’s Arthur L. Carter Journalism Institute hosts and administers the award. Applications for next year’s competition will open in November.